Benefit are all about the new launches of late, and one I've been really excited about is their brand spanking new tint; Lollitint. Benefit's tints have been around since way back when, so when a new one is released it's always refreshing to see them getting back-to-basics and remembering their roots. 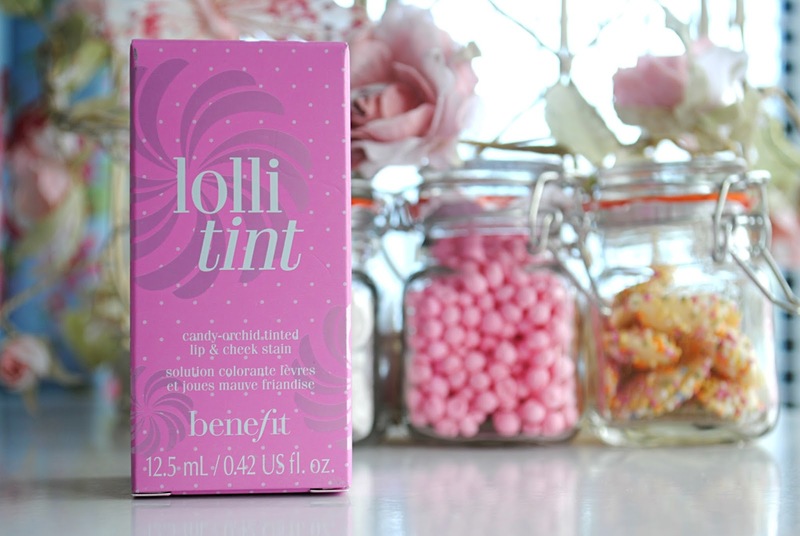 I heard about Lollitint's upcoming release a while ago and as soon as I heard it was to be 'candy-orchid tinted', I was sold. 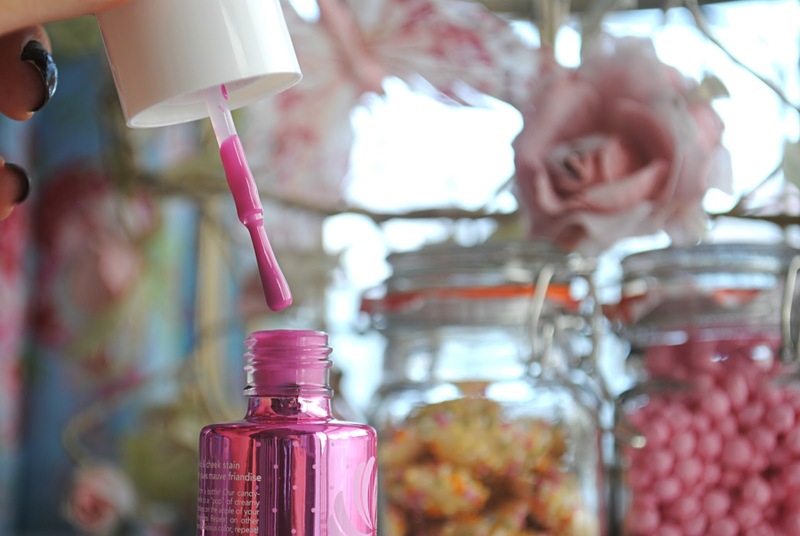 Now Lollitint is officially available to buy and I was lucky enough to get my mitts on a little bottle of the stuff, along with a rather indulgent selection of sweeties to compliment this sugar-coated, candy pink lip and cheek stain. If you're not familiar with Benefit's tints, they're basically nail polish-like liquids which you paint onto your face (cat whiskers and blend for your cheeks, or simply whack on your lips) which are kiss-proof and completely waterproof, making them ideal for holidays, parties and everything in between. There's Benetint; the original ruby-red tint, Posietint; a poppy-pink tint, and Cha Cha Tint, a mango-hued, coral creation. I've been lucky enough to have a play with them all and their latest edition, Lollitint, is by far my favourite. Whilst I love all the others in equal measure, I'm a girly girl at heart and so this candy-coloured tint ticks all the boxes for me. The thing about Benefit's tints, and Lollitint is no exception, is that they look amazingly natural and glowing on the skin. 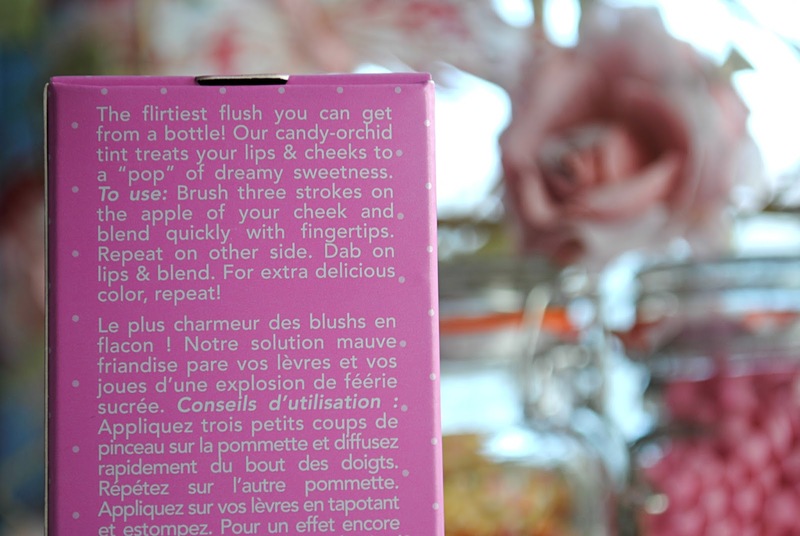 Whereas powders can look a tad 'false', these tints give you a girl-next-door flush that is nigh on impossible to fake. 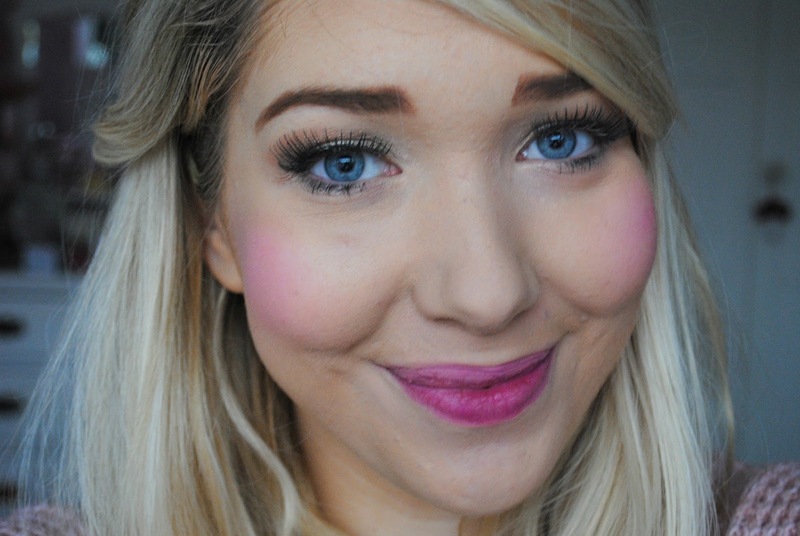 They're super natural and pretty on the lips too, and I really love the orchid shade Lollitint creates on my lips. Lollitint is amazingly long-lasting and is most certainly waterproof - a little bottle will last you a lifetime as a tiny bit goes a long way, and even when you take your makeup off you'll still have the remnants of a flirty flush on your skin, making this ideal for poolside beauty. 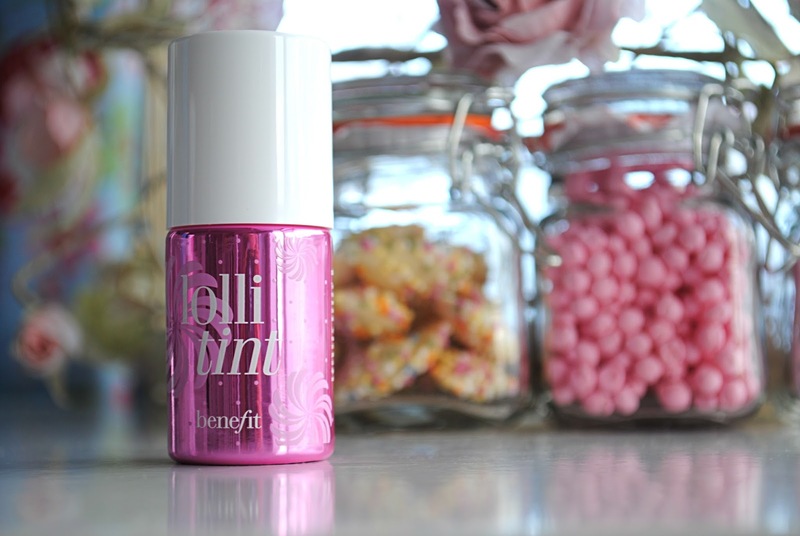 Overall I am head over heels for Benefit's Lollitint and it definitely gets this sweet tooth's seal of approval.